Peter Rowan – Carter Stanley’s Eyes. Peter Rowan was just a young bluegrass boy when he caught the attention of Bill Monroe, who made him an actual Blue Grass Boy in 1963, or maybe ’64. Rowan isn’t certain exactly when he became the band’s guitarist and lead singer, but the moment Monroe introduced him to fellow icon Carter Stanley is etched in his memory just as indelibly as the inked entry in his 1966 diary. Within a few months, Stanley would be gone, but the impact he and his brother, Ralph, had on Rowan – and the world – would grow even stronger. He acknowledges their influence, and finally gives the story of that meeting a definitive telling, with his new Rebel Records album, Carter Stanley’s Eyes. The album pays respects to bluegrass’s most famous brothers with two songs penned by each; others, such as the traditional Hills of Roane County and the Carter Family’s Will You Miss Me, were Stanley Brothers staples. Even the album’s opener, Rowan’s own Drumbeats on the Watchtower nods to Ralph, who retitled it from Wild Geese Cry Again when he recorded it. Rowan didn’t mind. In fact, he was ecstatic when Stanley told him he’d cut it. “To me, that was real fulfilment, to be covered by one of the masters,” Rowan says. Peter Rowan’s dedication to preserving the authenticity of archival bluegrass has been a lifelong pursuit. And while he’s managed to break down boundaries and take it into other realms, his essential interest in staying true to the American music legacy has always been the critical arc in his explorations. That said, none of his albums can match the pure, unfettered devotion that’s so evident in the absorbing and evocative Carter Stanley’s Eyes – Relix. Rowan does this in an unassuming manner that is uncommon these days when so many folks think they have to ‘jazz’ things up. The centrepiece is his original, the title tune that recounts his first meeting with Carter Stanley. It is stunning in its simplicity, a matter-of-factness that belies what we now know was Rowan’s future. This is the bluegrass album for people who think they don’t like bluegrass – No Depression. The guy who gave us Panama Red, Midnight, Moonlight and many others still knows how to write a great song, work up a storm and deliver music that must surely earn continued appreciation. Carter Stanley’s Eyes is one of those releases that just could end up on the receiving end of a Grammy nomination. A true delight in every way – Elmore Magazine. This album maps the path Rowan followed from the Stanley’s musical roads to his own. Along the way, he visits Monroe Can’t You Hear Me Calling, the Louvin Brothers A Tiny Broken Heart and Lead Belly Alabama Bound, whose presence reinforces both his and Monroe’s blues influences. Rowan produced the album and gathered several luminaries to join him on the journey. These include lead guitarist Jack Lawrence, of Doc Watson’s band; mandolinist/vocalist Don Rigsby, whose 2010 album, Doctor’s Orders: A Tribute to Ralph Stanley, features Stanley and alums of his Clinch Mountain Boys; guitarist/vocalist Tim O’Brien (Bluegrass Dukes, Hot Rize); percussionist Jamie Oldaker (Eric Clapton); and banjoist/guitarist/vocalist Patrick Sauber (seen in the film A Mighty Wind). They’re joined by Rowan’s Bluegrass Band mates: Blaine Sprouse on fiddle and vocals, Chris Henry on mandolin and vocals and Paul Knight on acoustic bass. Together, they do indeed honour their forbears, staying faithful to tradition instead of going for what Rowan calls the “razzle-dazzle” of progressive bluegrass or jamgrass. Peter Rowan Band Heading Downunder. The Peter Rowan Bluegrass Band consists of outstanding musicians with over 100 years of combined recording and performance experience. Joining guitarist Peter Rowan are Michael Witcher, Dobro; Keith Little, banjo; and Paul Knight, bass. The ensemble has graced the stages of Hardly Strictly Bluegrass, Grey Fox, Merlefest, Rothbury Australia’s National Folk Festival, and numerous other festivals domestically and abroad, entertaining audiences with original and traditional songs executed in vibrant harmony. In April 2013 Peter Rowan, joined by members of his current bluegrass band, released The Old School, a magnificent blending of old school sounds and players (Del McCoury, Jesse McReynolds, Bobby Osborne and Buddy Picher) with some of the bright young talent such as Chris Henry, Ronnie & Robbie McCoury performing memorable new songs such as Doc Watson Morning, Drop The Bone and Keepin’ It Between The Lines (Old School). The Old School followed the group’s Grammy nominate debut album for Nashville’s Compass Records- Legacy; the recording, featuring traditional and original compositions, was produced by Compass owner/recording artist Alison Brown and includes Ricky Skaggs, Gillian Welch, David Rawlings and Del McCoury. Peter just finished recording a tribute to Ralph Stanley for Rebel Records entitled The Light in Carter Stanley’s Eyes, due for release in 2018. Peter Rowan Band will be playing Cobargo, Port Fairy and Blue Mountains along with several club dates TBA. Peter has also been invited to join the Ralph Stanley Tribute at the Grand Ole Opry next month with John Cowan, Lee Ann Womack, Rob Ickes, Blue Highway and more. Grammy-award winner and six-time Grammy nominee, Peter Rowan is a bluegrass singer-songwriter with a career spanning over five decades. From his early years playing under the tutelage of bluegrass patriarch Bill Monroe, Peter’s stint in Old & In the Way with Jerry Garcia and his subsequent breakout as both a solo performer and bandleader, Rowan has built a devoted, international fan base through his continuous stream of original recordings, collaborative projects, and constant touring. Paul Knight has been playing with Peter Rowan in various configurations for over 15 years. His driving acoustic bass has been part of recordings and live performances with a wide range of musicians including Jim Lauderdale, Laurie Lewis, and Crooked Jades, Paul is host to his own music series, Paul Knight & Friends, in his hometown of Pt. Reyes Station, CA. Several projects & bands have emerged from these shows including The Peter Rowan Bluegrass Band. Originally from West Virginia, Blaine Sprouse took the music cue from his father, a clawhammer banjo player who taught Blaine guitar chords at age six. Before turning eighteen, Blaine fast-tracked his professional career by joining Jimmy Martin as a Sunny Mountain Boy, touring the United States and Japan. After a move to Nashville, he left Martin to fiddle for Bill Monroe’s son James in the Midnight Ramblers. Much in demand as sideman and session player, Blaine toured and recorded with a stunning array of other famous bluegrass and country artists, among them, Charlie Louvin, Jim and Jesse and the Virginia Boys, and the Osborne Brothers. After the release of three critically acclaimed solo recordings, Sprouse produced Indian Springs, a twin fiddle album with Kenny Baker on which they exhibit intuitive chemistry. Also a gifted mandolin and guitar player, Sprouse is at home in bluegrass, blues, swing, jazz and folk. Patrick has been playing old-time, Cajun, and bluegrass music ever since he can remember. His introduction to performing came at the knee of his father, old-time master fiddler and claw-hammer banjo player Tom Sauber, a stalwart of the traditional music scene in Southern California. Patrick’s first gigs found him playing triangle, and, at 10 years old, he was playing accordion in a Cajun band with his dad. Under the guidance of his father (with whom he still performs), Patrick has developed a keen ear, unusual depth to his playing, technical expertise, and an encyclopedic knowledge of traditional music forms that is rare in one so young. Patrick has recorded or performed with many artists, including Doc Watson, Herb Pedersen, Weird Al Yankovic, The Limeliters, Richard Greene, Christ Stuart & Backcountry, Dirk Powell, and many others. In 2003, Christopher Guest asked Patrick to be the banjo player in The New Main Street Singers in the folk-music satire movie, A Mighty Wind. Patrick also played on the soundtrack CD and toured with the film’s cast. A formidable talent on banjo, Cajun accordion, mandolin, and guitar. Patrick is the kind of guy who could probably get music out of anything he puts his hands on – Laurie Lwewis. The Peter Rowan Bluegrass Band returns to Australia to play New South Wales, Australian Capital Territory and Victoria over this coming March and April. 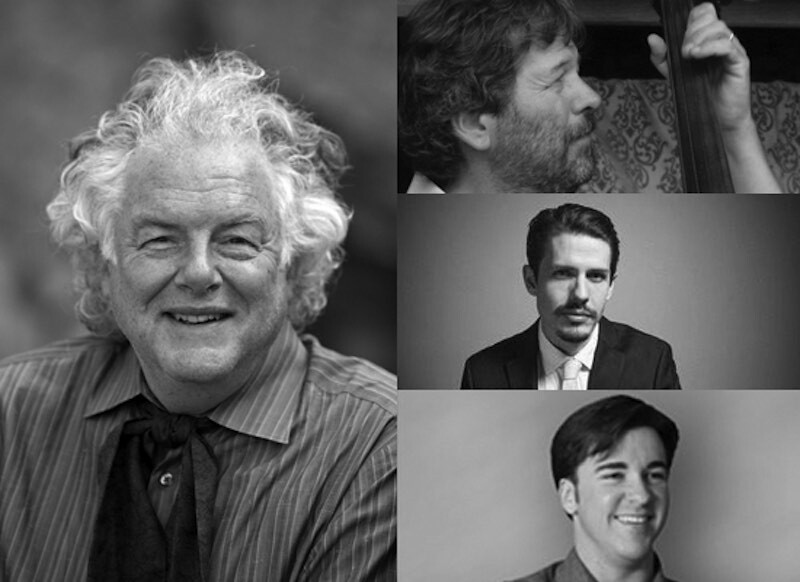 Consisting of outstanding musicians with over 100 years of combined recording and performance experience, guitarist Peter Rowan will be joined by Paul Knight, bass; Chris Henry, mandolin; and Patrick Sauber, banjo. Having graced the stages of Hardly Strictly Bluegrass, Grey Fox, Merlefest, Rothbury Australia’s National Folk Festival and numerous other festivals domestically and abroad, audiences are entertained with original and traditional songs executed in vibrant harmony. In April 2013 Peter Rowan, joined by members of his current Bluegrass Band, released The Old School, a magnificent blending of old school sounds and players (Del McCoury, Jesse McReynolds, Bobby Osborne and Buddy Picher) with some of the bright young talent such as Chris Henry, Ronnie & Robbie McCoury performing memorable new songs such as “Doc Watson Morning”, “Drop The Bone” and “Keepin’ It Between The Lines (Old School)”. The Old School followed the group’s debut album for Nashville’s Compass Records- Legacy. The recording, featuring traditional and original compositions, was produced by Compass owner/recording artist Alison Brown and includes Ricky Skaggs, Gillian Welch, David Rawlings and Del McCoury. Legacy received a Grammy nomination in 2010. Since then the prolific singer songwriter has recorded and released Peter Rowan’s Twang an Groove Vol. 1 on There Records and Dharma Blues on Omnivore Records. There’s been a fair bit goin’ on down Yinnar this year. The Strzelecki Stringbusters have been making sure of that with their continuing series of monthly shows featuring the very best in live acoustic roots, old-time & bluegrass music. We have enjoyed playing host to international artists such as Mike Compton, David Long, The Whitetop Mountaineers & Hungry Hill. The Boys were stoked to present the great Peter Rowan at the Yinnar Town Hall in March this year. Peter invited The Stringbusters on stage at the end of the show, in particular “Brother Daryl”, who earlier, at Peter’s request, had taught him Waltzing Matilda. The crowd erupted in voice on the chorus, proudly treating their international guests to a taste of Australian song, and again on the final tune You are My Sunshine. What a night. In April this year, the boys were back at the pub, playing hosts to WA’s Bluegrass Parkway, on their 2nd visit to Yinnar. With the prodigious George Jackson standing in on fiddle, this fine band had the audience in the palm of their hand from the start. It’s fair to say there’s a growing mutual affection between BGP and the Yinnar punters that will hopefully continue for many years to come. The following week, Australian finger-style guitarist Nick Charles performed a stellar solo show, and proved why he is regarded as one of the best acoustic performers in the country. The night also proved the live acoustic scene to be well supported, with the second full house in just eight days. The great shows just keep on coming. This Wednesday, 30th May sees an all-local night of entertainment, featuring country stalwarts Neville & Aileen Boothman, with Bill Armstrong playing backup. The parents of Stringbuster Danny, they have been performing country music locally for over 40 years, and a big crowd is sure to turn out to help Aileen celebrate her 70th birthday on the night. Nev is sure to entertain with his bag of old jokes, and with members of the extended family likely to jump on stage if the mood strikes, it’ll be wall-to-wall Boothman’s on the night! 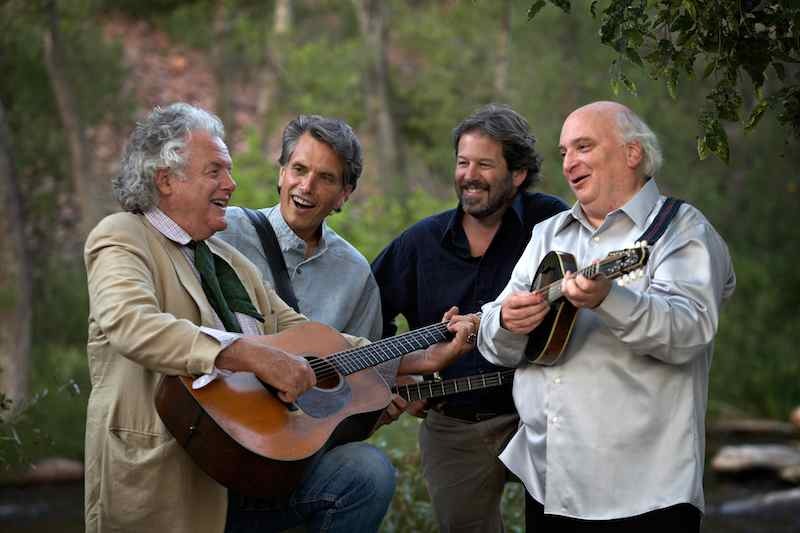 Here’s a special offer for Bluegrass and Traditional Country Music Society members relating to tonight’s concert by Peter Rowan and Band to be held tonight at Notes in Newtown. Normal price at door $45, flash your BTCMS membership card and pay only $25. This offer applies only for door sales and does not apply to pre-bookings. Notes is at 75 Enmore Road Newtown NSW 2042. Gerry Hale interviews Peter Rowan on Unpaved. Unpaved is a website dedicated to covering all the exciting and inspiring things that are happening in Melbourne folk country. Peter Rowan started famously as one of Bill Monroe’s Bluegrass Boys in 1964. Described as a free musical spirit, Rowan has experimented with a range of music styles and including rock, Tex-Mex, reggae among others. Peter Rowan has been a regular visitor to Australia and Melbourne’s own bluegrass master Gerry Hale spoke to him before he heads back to our shores for his 2012 tour. Read the full interview on the Unpaved Website. There’s an exciting time ahead for Australian Bluegrass fans. Peter Rowan is touring this year with one of the hottest lineups playing 13 dates across New South Wales, ACT and Victoria. The Peter Rowan Bluegrass Band consists of outstanding musicians with over 100 years of combined recording and performance experience. 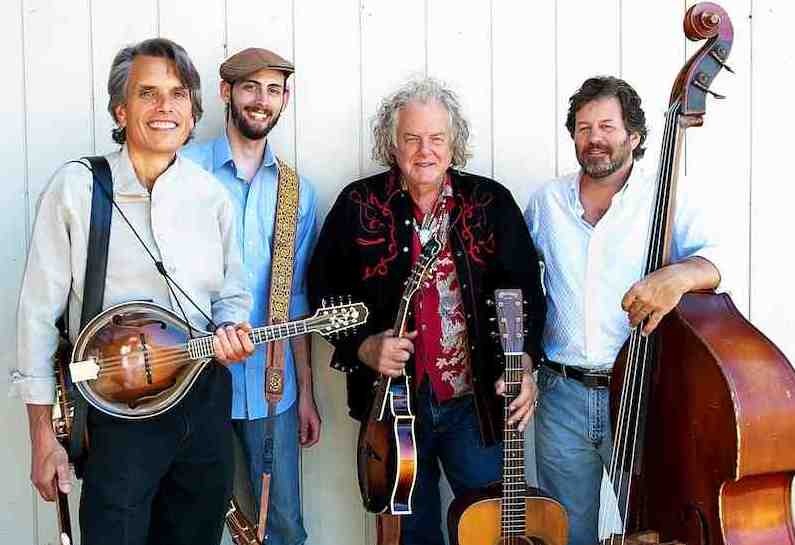 Joining guitarist Peter Rowan are Michael Witcher, Dobro; Mike Munford , banjo; and Paul Knight, bass. The ensemble has graced the stages of Hardly Strictly Bluegrass, Grey Fox, Merlefest, Rothbury Australia’s National Folk Festival and many other festivals domestically and abroad, entertaining audiences with original and traditional songs executed in vibrant harmony. In September 2010, the Peter Rowan Bluegrass Band released their debut album for Nashville’s Compass Records- Legacy; the new album, featuring traditional and original compositions, was produced by Compass owner/recording artist Alison Brown and includes Ricky Skaggs, Gillian Welch, David Rawlings and Del McCoury and received a Grammy nomination in 2010. 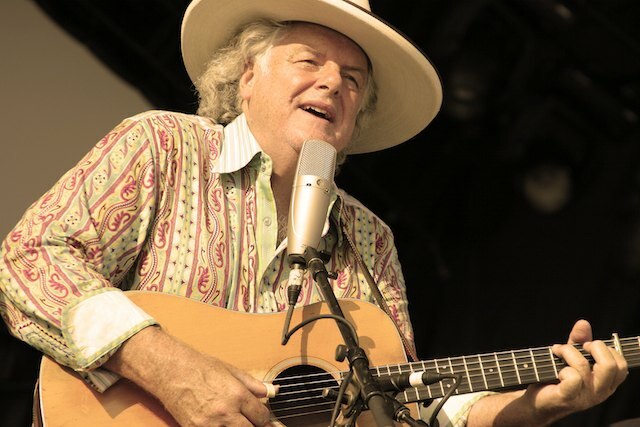 Grammy-award winner and six-time Grammy nominee, Peter Rowan is a bluegrass singer-songwriter with a career spanning over five decades. From his early years playing under the tutelage of bluegrass patriarch Bill Monroe, Peter’s stint in Old & In the Way with Jerry Garcia and his subsequent breakout as both a solo performer and bandleader, Rowan has built a d evoted, international fan base through his continuous stream of original recordings, collaborative projects, and constant touring. Since Mike Munford began touring with rising bluegrass star Frank Solivan and his band “Dirty Kitchen”, listeners around the country are finding out what fans and pickers in the Washington-Baltimore area have known for years. This is one amazing banjo player. Previous to working with D.C. based Solivan, Mike played banjo with the Mark Newton Band and recorded two albums with them. Among the artists Mike has worked with as a freelancer are Tony Rice, Tony Trischka (Mike was one of the few banjo players that Trischka tapped for his “Double Banjo Bluegrass Spectacular” tours), Dede Wyland , Lynn Morris, Larry Rice, Valerie Smith, and Frank Wakefield. He has backed up Peter Rowan many times since the 1980s, and played on Rowan’s Grammy-nominated “Bluegrass Boy” album in 1996. Paul Knight has played with Peter Rowan in various configurations for over 15 years. His driving acoustic bass has been part of recordings and live performances with a range of musicians including Jim Lauderdale, Laurie Lewis, and Crooked Jades, Paul is host to his own music series, Paul Knight & Friends, in his hometown of Pt. Reyes Station, CA. Several projects & bands have emerged from these shows including The Peter Rowan Bluegrass Band. Growing up the youngest of five in a musical and artistic family in the suburbs of Los Angeles, Michael found his voice playing the dobro at the age of fourteen. In less than a year, he was playing with his father Dennis, and brother Gabe in their Bluegrass band, “The Witcher Brothers”. Michael has recorded or toured with Dwight Yoakam, Fernando Ortega, Laurie Lewis, Tyler Hilton, John Paul Jones, Sara Watkins, The Gibson Brothers, Dolly Parton, Joan Osborn, Willie Watson (Old Crow Medicine Show), and Chris Jones among others. Known for his rich tone and lyrical phrasing, Michael is also a highly sought after instructor.